THE HALLS ARE BEING DECKED AND THERE ARE CHOCOLATES BEHIND EACH LITTLE CARDBOARD DOOR IN THE CALENDAR – BUT EVEN AMONGST ALL THE NOVELTIES AND EXCITEMENT, IT’S IMPORTANT THAT WE DON’T LET OUR GROUP EXERCISE GOALS FALL BY THE WAYSIDE. The festive season is a busy time of year for everybody. There’s shopping to be done, parties to attend, children’s plays to prepare for, food to be cooked and drink to be drunk. Before we know it, fitness has dropped right to the bottom of the list, and the temptation is to let it all slide until the New Year. It’s very easy to do, but, in terms of our health and wellbeing, it’s not the best approach. Fitting in group exercise during the festive season is not only one of the very best ways to ensure you stay healthy and work off any of those seasonal excesses we’re all susceptible to indulge in at this time of year, but also to give you the energy boost you need to keep productive. And you’re certainly going to need it. Without putting too fine a point on it, this time of year is chaos for all concerned. Your schedule will likely be filled with all manner of friends and family get-togethers, work dos and even overtime, as you try and get everything wrapped up before the break – so you best be fighting fit. However, with all these extra goings-on, it’s no easy feat finding the time needed to partake in your usual group exercise commitments. But this year can be different. Don’t concede to putting your health and fitness goals on the back burner for the best part of a month. Instead, although you might have to shuffle your usual schedule to accommodate for your seasonal commitments, you should still strive to fit in regular group exercise workouts right up to the Big Day and beyond. It’s a given that the holiday season is going to be hectic – but the trick is not to let yourself fall into the “all or nothing” mindset, inevitably allowing “nothing” to be the victor. Even though you might not be able to participate in group exercise quite as regularly as you normally would, this doesn’t mean that you should throw the towel in altogether. All it takes is a little planning ahead. With your usual schedule all jumbled up, now might be the right time to explore new group exercise classes near you, which offer different time slots – and we can help you find them. As the national governing body (NGB) for group exercise, our vision is for a healthier nation through exercise. We work hard to ensure that all opportunities to participate are well-promoted. 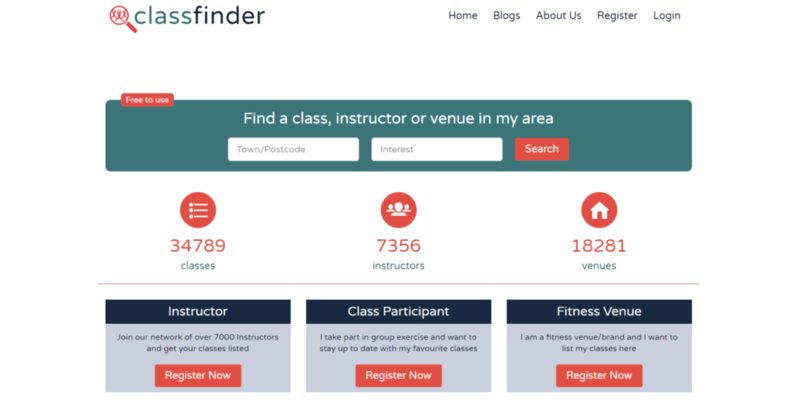 In 2015, we acquired Class Finder – the UK’s largest and most popular online site for group exercise and fitness instructors to promote their classes. It’s an amazing database, which currently holds information on over 34,000 weekly dance, fitness and group exercise classes, run by more than 7,000 instructors that take place all around the country. If you need to find new group exercise classes to fit in with your schedule during the festive season, just head over to Class Finder and find out what’s available in your area in an instant. No one hosts a Christmas party first thing in the morning – and so there’s no chance of one clashing with a group exercise class that takes place before noon. Sure, the cold weather doesn’t do much to energise us into getting out of bed, but rising early is one of the very best ways to stay on track with your group exercise workouts during the silly season. 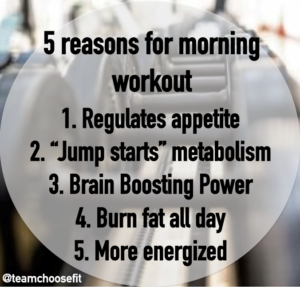 And there are plenty of benefits of exercising in the morning, too. For starters, it will give your metabolism a boost – helping you stay active and energised for all those additional commitments later in the day. Morning exercise will also give you an endorphin rush to help you stay happy and focused. You’ll burn more calories, lower your blood pressure and sleep better at night – especially since you will be sound in the knowledge that you’ve kept your fitness goals on track. Why not? The biggest challenge at this time of year really comes down to finding time to fit in some decent group exercise sessions when there’s so much extra going on. Most workplaces give their staff at least half-an-hour if not a full hour for lunch. While of course, you’ll need to save some time to eat something, there’s nothing stopping you from doing at least ten minutes of group exercise during your lunchbreak. Why not speak to your employer about enrolling on a workplace health project to keep the fitness buzz going post-Christmas? And there’s no need for it necessarily to be a formal affair. Bring in your stereo from home or hook up your smartphone to a speaker and lead an ad hoc group exercise session for your co-workers. And it’s Christmas, so crack out the Mariah Carey, the Slade and even the Jingle Bells and get everyone moving and laughing and bopping along to the classics – amazing fun! Not only will you be keeping up with your own fitness goals over the festive season, but you’ll no doubt get some people joining in who might not have tried group exercise before – and that will be the best Christmas present you can give them. Fitting in group exercise during the festive season isn’t always straightforward, but by planning ahead and not being afraid to shake up your schedule and try something new, you should find that you are able to find the time – and you’ll feel all the better for it. If you need any additional help with your fitness goals or with finding a great group exercise class near you, get in touch with EMD UK today.